Ok guys I need your help. 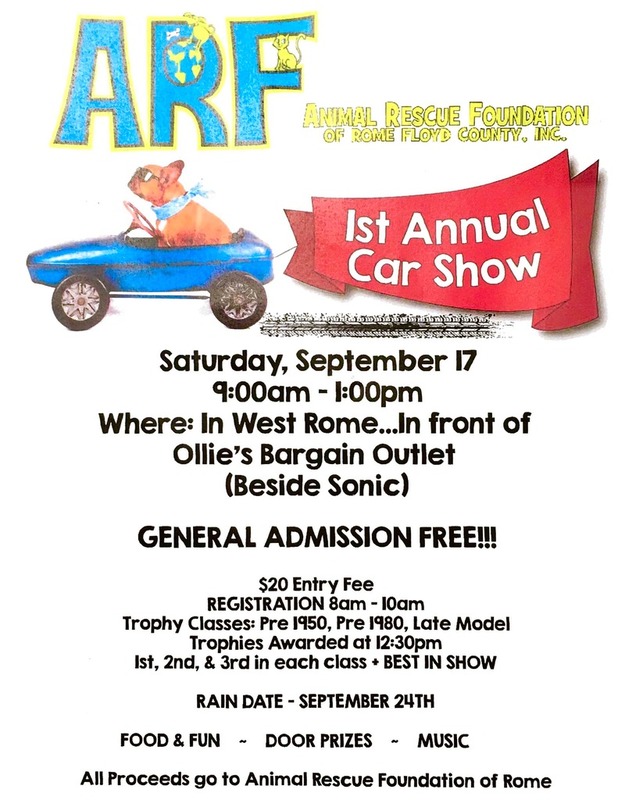 I know this is last minute, but the Animal Rescue Foundation (ARF) of Rome Floyd County is trying to put on their first car show ever. They are struggling with it. I know it is sort of last minute since it is Saturday, September 17th, but I would love to see as many VW folks there as possible. If nothing else just to get together. Every dime goes to ARF. Maybe some of you would even rescue a pet Animal rescue is very near and dear to me. I know its way too late to try and get vendors to come so maybe next year as they plan to make it a yearly event. Here is the flyer. Forward it to everyone you can.